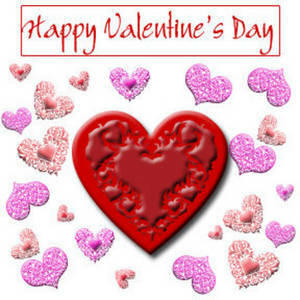 Description: This is a free Valentine clipart picture of Victorian hearts for Valentine's Day. This is a cute image of pink and red Victorian hearts on a white background. Happy Valentine's Day is written at the top.